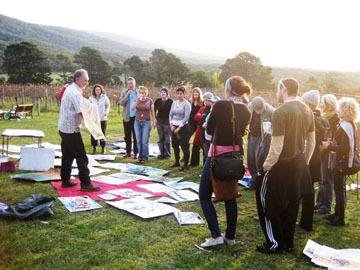 Ron Curran has been facilitating Dynamic Drawing classes in Byron Bay and Melbourne for 17 years. What does ‘Dynamic Drawing’ mean? Isn’t it a life drawing class? Ron. Not really ... Its focus isn’t on figure based/textbook-style drawing, even though we use a model. Dynamic Drawing, in a sense, is about the stuff that operates you - your uniqueness, your coding, so to speak - in particular, the visual language that you are inhabited by. That’s the dynamic part of the drawing forum that is called dynamic drawing and how it has evolved. Everyone’s different. Just as in the history of art, it is the greatest and most striking differences that have defined the best work/the greatest work. These ‘differences’ are real and are characterised by potent intimacies that ultimately set up their own perspectives and structures. The best work is ultimately the most authentic and often, at the time of its emergence, the most delinquent, raw and rule smashing, the most ambiguous, uncompromising and often exotic in nature. It doesn’t abide to any particular academic tradition but demands its own territory and voice. Don’t you need a few basic rules? Shouldn’t you first learn how to draw properly? Ron. As soon as you start using words like ‘should’ or ‘properly’, you immediately set yourself up in a classic trap because you assume there is a position or a particular way in which to see the world. The whole history of art has been all about traditions being constantly challenged and swept aside by new and more relevant voices and structures by radical new intimacies and brilliant adventures. Great art is deeply informed and all about the practitioner’s ability to sign off on their experience in a way that is compelling and unquestionable in its dimension and vision. Van Gogh did not go out into the cornfields with a ‘how to draw dogs’ book under his arm. He was consumed by passion and inspiration and simply did what he had to do. In fact, at least 50% of the major artists in the last 100 years were not ‘institutional’ products but driven individuals with vision. The other 50% found it necessary to depart the tradition to be able to go to the place where their vision was calling them. They were ‘flag bearers’ – in fact the very history of art is all about cultural shift and people getting in proportion with new realities. The academic notion of drawing can be compared to a hairdressing salon where, in the end, everyone tends to walk out the door with the same haircut. This is the very last thing I want to happen in my classes. Originality is the only way. Ultimately, art is not a fashion parade or a trade fair. Art should not be mistaken for boutique – its currency is risk, inspiration and vision. It’s an odyssey and an exploration into what operates us as individuals into our core realities. It is a search for voice. Structures are the things we build from inside out to house our experience and to explain the often very fractured nature of that experience. It is different for everyone. There is no fixed tradition - only the evolution and total emergency of translation. The best art is uncompromisingly intimate and self-governing. The best art does not work from the outside in but inside out. The best art does not hide its own debates but makes glorious our uncertainties. But what of all the traditions and skills and the hallowed and established techniques that one needs to learn in order to draw and paint? Ron. Techniques and skills are vehicles that are used to transport ideas and images. There are thousands of ways that this can be engaged, that is to move ideas to ‘house’ one’s experience. One needs only to flick through any reputable art history book to see this. There are as many visual languages as there are dialects and structures on earth. These exist both inside and outside of our selves. The major artists have had to make a claim on and rebuild from the ground up their own realities. To engage in comparisons is ultimately meaningless, as it is to talk in ‘shoulds' and ‘shouldn’ts’. What is important is, is the work any good? Does it communicate? Does it have a continuity, tuning or power? No matter how ambiguous, visceral, contradictory, raw or unsettling it may be, good work in the end is good work. Techniques are decided upon/chosen only when one has finally met oneself in language and knows to some extent where one is coming from and possibly going to. It’s a traveller’s decision. How do you mean ‘meet yourself’? Ron. Through a ruthless process of self-appraisal, through a process of abandonment and inside-out drawing, through a kind of radical meditation and witness, through a process of deliberate fracture, mark-making and challenge so we are able to bust our own preciousness barriers. For example, if you create a kind of no-man’s land between yourself and the subject/your experience, then you’re simply not engaged, you’re just a bystander. That is, if you just balance images on the end of your nose all day and externalise yourself from your feelings, then you’re only ever a fence sitter and your work will increasingly be derivative and ultimately you will be short-changed of your own best and most total possibilities. And you will never make the big break or do the mighty quantum leap needed to get back home to your signature experience where creatively all the really important stuff sits - in the factory of the sensibility/in the language depot. In the end it’s a kind of hunch, a stab in the dark, an act of blind faith. But if you’re serious about all this you’ve got to let go of the academic apron strings. Otherwise you’re only ever going to be a Sunday painter. Great art doesn’t happen on the edge of your eyeballs or at the end of your thumb, it happens where the machinery is, the machinery of the blood, the intuition and the instinct. As practitioners, we need to establish our territory through a sense of real responsibility and set up mark-making invitations from which our structures can visit and emerge. What is your role as a teacher/facilitator? Ron. Again, it’s the same thing. I do not have any fixed or nameable role in relation to what I do. Each day’s a new day with a different and unexpected mix. I take it as it comes. I pick up on the people and the signals in the room and ask the questions that need to be asked. I can offer strategies, either from the floor or one on one, depending on the mix. Each person, each day, new scenario. Art is all about the nature of the unexpected; about both inspiration and destruction. It is elemental, bouncy and fluid and never behaves in the way we think it should. But it’s within these very contradictory panoramas that some of the best work emerges. I offer base line strategies as a kind of meditation and witness process into simply letting go, into busting assumptions and developing trust with one’s sensibility. Ron. Again we get into the land of assumptions. In this case, what is a drawing? And more particularly, what is a finished drawing? The fact is good drawing is not at all about quantifying stuff, whether you’ve got all the ‘bits’ in … it is about the quality of translation, the potency and personality of the mark-making and the kind of panoramas that are being set up within the work. That is, the sort of magic you are practising. It is not at all, necessarily, about the outside, visually identifiable world. It is about the kind of language you are talking and where that takes you … and there is no end to that process. It is alchemical and transformative, it’s about invocation and tuning. About the song you sing. So really a drawing is never actually finished, it’s dimensional and ever-expanding in its metaphors ... it’s about finding your starting points and letting those expand and invite, in whatever way necessary, the things that are needed to explain what it is you are experiencing. Good drawings are, in fact, clock smashers … in a sense, time’s got nothing to do with it. We find our timepiece, our real calibration, within the work itself. Applications for BSA's first-year course on Visual Arts Foundation will be closing on October 21. If you've been thinking about learning how to take your practice to the next level, here is your chance. BSA Visual Arts Foundation is a one-year course providing an extensive grounding in the Visual Arts. This is a structured studio program incorporating drawing, painting, printmaking, 3d studies, design principles, colour theory, art history and creative thinking. The course is designed to help you acquire the knowledge, skills, and experience needed to form an integrated understanding of contemporary ideas and practices. This course will introduce researching tools for those wishing to follow up with VAP and VARP. Whether you are starting out, or you are a more experienced artist needing to develop your skills and art practice, this course provides a solid foundation. The primary focus of all our teaching is on the individual. A flexible course structure makes it possible to work with each student and be specific about their requirements and artistic development. All our teachers are experienced educators with nationally recognised art practices. Course activities include studio work, ﬁeld trips, gallery visits, guest lecturers and group exhibitions. Note: Students who complete the Foundation year are then eligible for the Visual Arts Practice course. Total Cost for the year is $4565 (incl. GST). If students pay in full before 3rd February 2018 course fee will be discounted to $4300 (incl. GST). To apply for the Visual Arts Foundation Course please complete the Application Form below. All information and details within this form will be treated confidentially. BSA staff will contact you to arrange a time to meet to discuss your application and to answer any questions you may have about the course. Following numerous requests from parents of aspiring young artists, Byron School of Art have announced they will be offering weekly after-school classes commencing next term for young people who love art. Afternoon Art Club invites school-aged artists to the BSA studios in Mullumbimby for creative afternoons, exploring art materials and techniques under the guidance of artist and qualified art teacher, Jacqueline Smith. “Each week new ideas and processes will be introduced as we develop skills in a range of art forms including drawing, painting, collage, printmaking, sculpture and design,” said Jacqueline. “I like to encourage students to keep a visual diary to explore their own interests as well, it’s wonderful to see their work progress”. Byron School of Art is offering two after-school classes commencing in October (Term 4); one for 9-12 year olds on Wednesday afternoons 3:45pm to 5:30pm, and another for 12-15 year olds on Thursday afternoons 4:45pm to 6:30pm. All classes will take place in Byron School of Art studios at 112 Dalley St, Mullumbimby. Bookings are essential. For more info visit byronschoolofart.com. Cost: $280 for 10 class course. Byron School of Art, 112 Dalley St, Mullumbimby. Bookings essential: byronschoolofart.com, email admin@byronschoolofart.com or phone 0487 362 141. 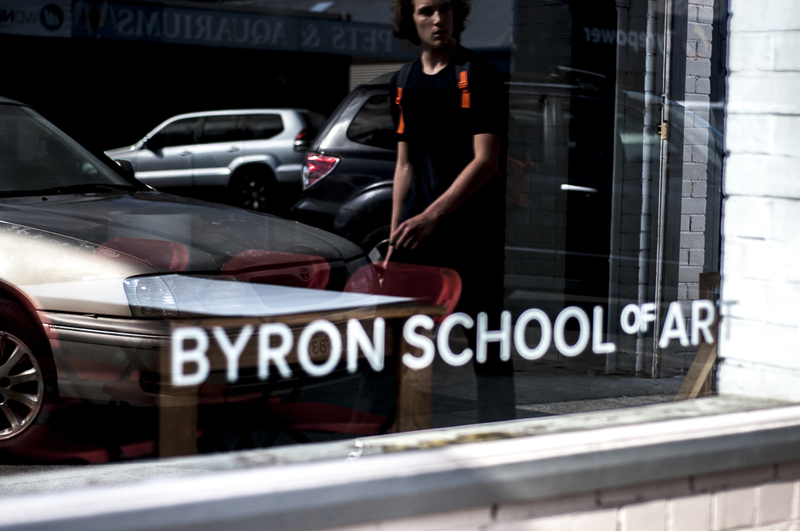 Byron School of Art is an independent, not-for-profit, contemporary art school based on an international model of Artists teaching Artists in a studio-based learning environment. Courses are run by nationally recognised professional artists, who bring to the school a passion for their practice combined with extensive teaching experience. 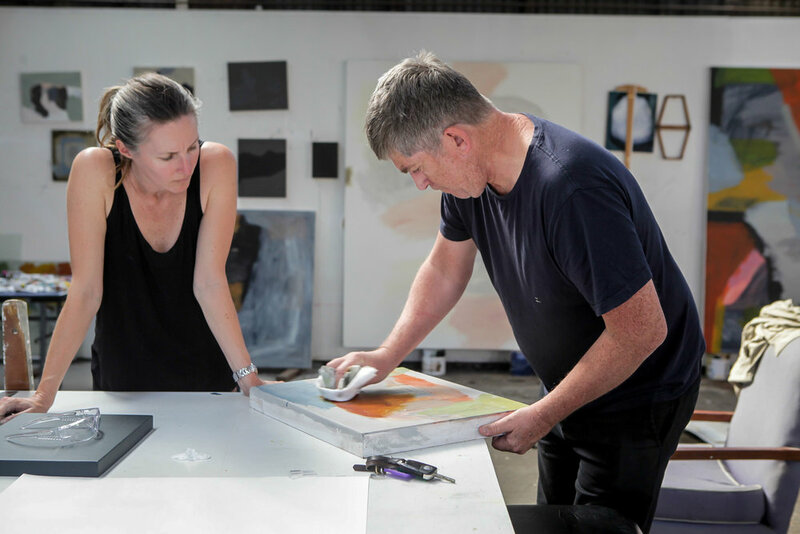 Byron School of Art is opening the doors of its beautiful studios and exhibition space in Mullumbimby on Sunday 17 September, 11am-2pm, for visitors to come and discover all the School and Project Space have to offer. Byron School of Art teachers and Directors Michael Cusack, James Guppy, Emma Walker and Christine Willcocks, all practising professional artists themselves, will be on hand to discuss the various courses, workshops and masterclasses on offer and will present an information session about year-long courses at 12pm. 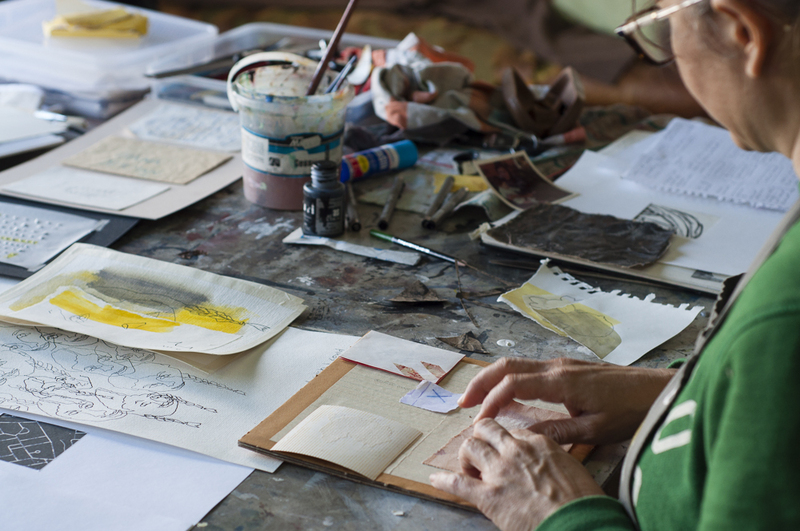 Printmaking demonstrations, stringmaking with Helle Jorgensen and an open drawing studio will run throughout the day. There will also be activities for kids and a chance for parents to hear about the new BSA Kids program of after-school classes starting in October. The Project Space gallery will be open, exhibiting the ‘Dirty Filthy Painting Group Show' (9-20 Sept), featuring the work of some of the best abstract painters in the country such Miles Hall, Terri Brooks, Julie Fragar and 2014 Archibald winner Fiona Lowry as well as some international artists who have never shown in Australia, including David Quinn, Helen O’Leary and Robert Dunne. These artists will be joined by a line-up of talented local artists like the well-travelled Paul McNeil; artists new to the region such as Brent Hallard, who brings a wealth of knowledge and experience; and young guns of the art world who used to call Byron home, like Josey Kidd Crowe and Sally Anderson. The Dirty Filthy Painting Group Show opens on Saturday 9 September and will be on show at Byron School of Art until Wednesday 20 September. Byron School of Art is an independent, contemporary art school based on an international model of Artists teaching Artists in a studio-based learning environment. BSA offers courses for emerging and established artists as well as an encouraging platform for the complete beginner. Students are guided in developing a strong work practice that is open to critical and creative thinking and grounded in technical and practical abilities. The courses are run by nationally recognised professional artists, who bring to the school a passion for their practice combined with extensive teaching experience. Byron School of Art offers a progressive series of year-long courses that provide an extensive grounding in the Visual Arts. 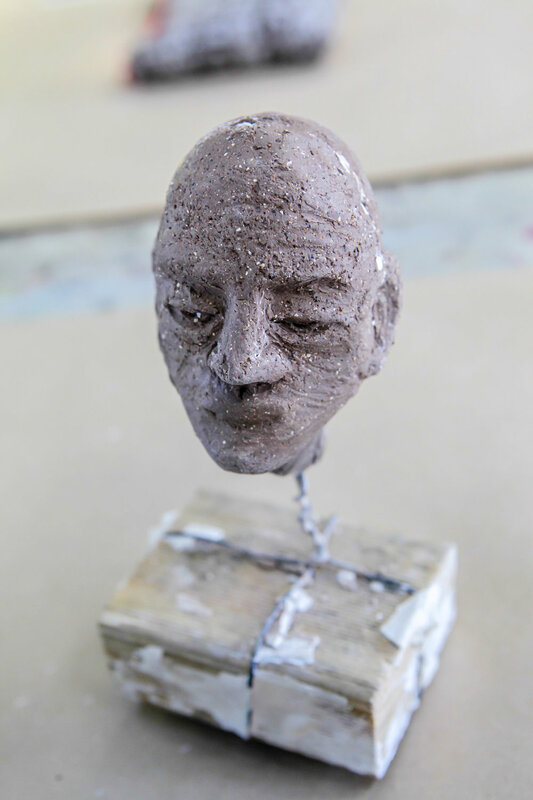 They are structured studio programs incorporating drawing, painting, printmaking, 3d studies, design principles, art history and creative thinking. Students can study in this program for one to three years, beginning with the Visual Arts Foundation Course, and leading on through Visual Arts Practice, to the Research & Portfolio Course in their third year. Many students relocate to Northern NSW to take part in BSA Long Courses. All course activities include studio work, ﬁeld trips, gallery visits, guest lecturers, group exhibitions and more. Enrolments are now open for 2018, with intake interviews held in November. After many requests and enquiries, and plenty of research and consideration, BSA is very pleased to be offering Art Classes for young people who are serious about visual art. BSA Afternoon Art Club is the perfect opportunity for children who love art to develop their skills and knowledge with a trained artist and teacher. Jacqueline Smith will be teaching two afternoon classes each week during school terms for children aged 9 -12 years and 13 -15 years starting 4th Term 2017 (11 & 12 October). Each week a new technique or idea is introduced, with activities building upon these in response to students' interests. Students will work independently and as a group on focused, structured art activities as well as on their own projects. Byron School of Art taps into the extraordinary wealth and depth of artistic talent in the Northern Rivers to offer short courses, workshops and masterclasses taught by an impressive roster of leading professional artists across a variety of mediums including life drawing, painting, portraiture, basket weaving and sculpture. Byron School of Art also offers a 10-week Visual Arts Introduction Course held one day per week, that introduces students to the fundamentals of contemporary art through observational drawing, design elements, materials, colour theory, and more. 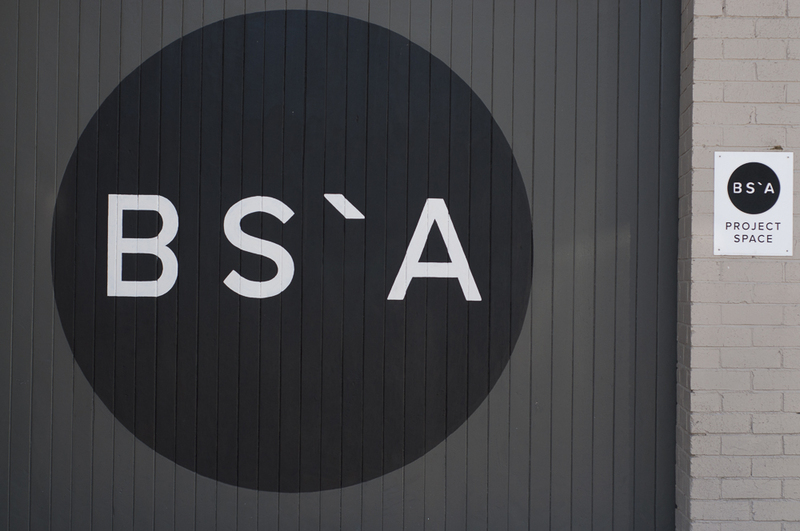 Byron School of Art houses a curated exhibition space, BSA Project Space, which exhibits shows by emerging and established artists and has a full exhibition calendar until the end of the year. Check the BSA website for details of upcoming exhibitions and fortnightly openings. Art in the Pub is an artist talk presented by Byron School of Art in partnership with c.a.s.e. inc. every month at the Courthouse Hotel in Mullumbimby. Previous guest speakers include Lindy Lee, Jenny Watson, Guy Maestri (in association with Tweed Regional Gallery) Art Gallery NSW Director Michael Brand and Sebastian Smee (both in association with Byron Writers Festival). Free admission, inspiring conversation, great food, cheap drinks and a warm community.